It can be challenging to commemorate the women and men from our past. Many towns pay homage to their historical and significant people by naming streets after them. This post looks at one street in the Parkes Shire, and the story behind who the street was named after. Most residents would be aware that ‘Clarinda Street’ was named after Sir Henry Parkes’ first wife, Lady Clarinda (née Varney) in 1887. The street this blog post will focus on also has a connection to Henry Parkes. Cobden Place is a small residential street in the eastern part of Parkes. And Cobden was one of Sir Henry Parkes’ sons. Clarinda bore 12 children of whom six survived childhood. As Lady Parkes she died aged 74 in February 1888. Unmarried daughters Annie and Lily then kept house for their father at Hampton Villa, a rented house in Balmain, but harmony was shattered a year later when Clarinda’s widower married Eleanor Dixon, by whom he had already fathered at least three children and was to have two more. He had made a disastrous mistake, his eldest daughter Clarinda (‘Menie’) warned, but she would try to befriend ‘the young creature’. The ‘stricken’ Annie and Lily Parkes remained hostile, however, and their father settled them in a separate house while he continued to live with his growing second family at Hampton Villa before moving to Kenilworth. Added to the financial burden of maintaining two households was the continued dependence of married family members such as Menie who grew anxious if her monthly cheque was late. The ageing Sir Henry also had health problems, using a walking stick after falling from a carriage and breaking his hip. When the five times NSW Premier lost his bid for re-election in 1894, signalling the end of his political career, his surviving offspring were – adults, by his first marriage – Varney (who, like his father, was declared bankrupt), Clarinda Sarah, Mary Edith, Annie Thomasine, Gertrude Amelia and Lily Faulconbridge, and – born in the years 1884-92 by his second relationship – Sydney, Kenilworth, Aurora, Henry and Cobden (named for Englishman Richard Cobden, a Freetrader like Sir Henry). 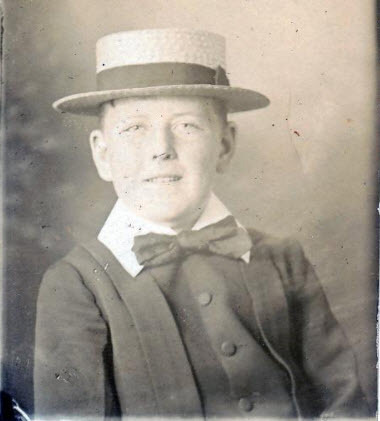 NOTE: While the website Our Family Past reports that this photograph is of Cobden, a photograph in Ian Chambers book, Parkes: A Photographic History on page 45 states that the young boy is Henry Charles, born 15th April 1890. The boy in that photograph and the one above look identical. historyparkes has attempted to contact the writers of the page on Our Family Past for clarification but as yet have received no response. 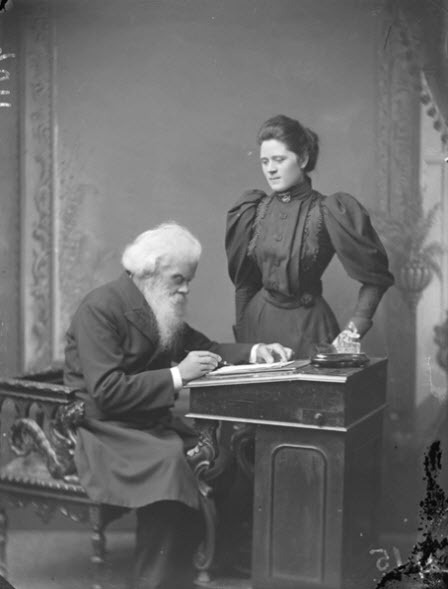 Local historians, Lex and June Weaver – in their book Welcome To Parkes: Henry Parkes’ Visits to Parkes The Town That Bears His Name on page 58 – received the exact photograph above from a Parkes family member who calls the young boy “Henry Junior” – which historyparkes believes is in line with this boy being Henry Charles. However life was not to get any easier for young Cobden. His mother passed away when he was three years old. His father had been declared bankrupt (again) and was about to marry for the third time – a decision which would further impact the fractious relationships in the Parkes household. Annie and Lily, who had swept out of the family home in disapproval of his second union to a woman 42 years his junior, were even more ‘disgusted’ by the next one. They had moved into Kenilworth after Eleanor’s death but left before the newlyweds returned home. The governess and other staff resigned. No doubt at Julia’s suggestion, Henry hired a new servant who had previously worked for Cardinal Moran. ‘Old Polly’, who had been in service with the family since she was 17, remained. Six months after his third marriage Henry caught pneumonia and died on 27 April 1896. He was penniless and in debt. Julia, who nursed him, was reported to be in a state of near collapse, destitute and burdened with the extra responsibility of caring for his five youngest children ranging in age from 12 to three years. Refusing a State funeral because Henry had wanted a private affair, she attended his burial near his first wife at Faulconbridge, a ceremony officiated by Francis Boyce with Varney and Menie present. 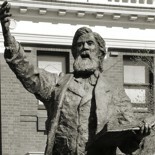 At 3am on 18 July 1896 the Parkes Family Grant Act was passed by the Legislative Assembly, under the leadership of Henry’s old enemy George Reid. A proposed £1,000 to buy a house and furnishings was halved, and Julia Parkes was allowed annual payments of £100 for herself and £80 for each of the children while they were minors, their progress to be monitored by the Governor. The Newcastle Morning Herald commented that ‘this famous grant made Lady Parkes a kind of hired nurse’. (When Cobden turned 21 in 1913, his stepmother’s allowance should have stopped altogether, but the Holman Government fixed it at an amount considered sufficient but not generous.) A parliamentary vote of £9,000 had been granted some years before to Sir Henry but the remainder of this was divided among the children of his first wife. 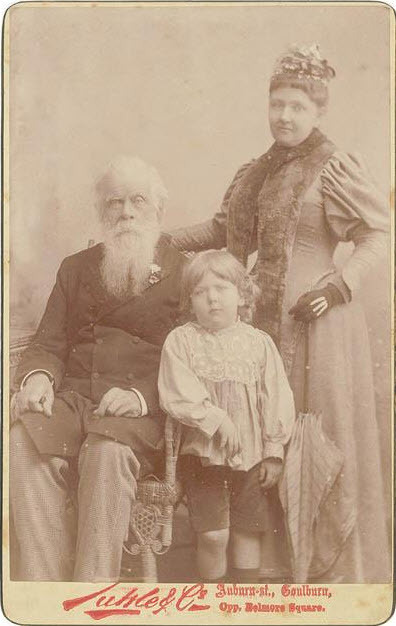 Family members have described the story behind the unusual first name of Sir Henry Parkes’ youngest child. At the time of Cobden’s birth Henry wrote, ‘August 2nd. Tuesday … At thirty minutes before midnight Lady Parkes was delivered of a boy: the event was over in a few minutes. Aug 3 Wednesday. Lady Parkes and her baby are doing well … We have much to be thankful for that he is so healthy a young creature. How strange that the responsibility never presented itself as it does now. This new comer under any possible circumstances will still be a today child when I shall have to quit this world forever. Poor Nellie will do her part I know for a more tender-hearted mother never lived … Aug 4 Thursday. All going well with Nellie and her baby. It is a blessing beyond price that all Nellie’s children are strong healthy and hopefully intelligent. Have been discussing the name for the youngster and have agreed to give him the name of the great anti-corn law leader … So our little lad is to be Cobden. Bravo, Cob Parkes’. Our stepmother (nee Julia Lynch) cared for we five children for about 18 years, and gave us every consideration, love and kindness. I remember her as a handsome and buxom young woman who (virtually) sacrificed her life to care for (us) we small children. She had healthy rosy cheeks and was a member of the household before marrying my father and so obtained the lawful right to care for us. She was Irish and I believe came from County Cork. With the outbreak of the First World War in 1914, Cobden put his promising career as a draughtsman on hold to immediately enlist. With his close friend, Austral Burns, the pair joined the 1st Battalion of the Australian Imperial Force. They landed at Gallipoli on 25th April 1915. Reports indicate that Cobden survived for four months before being wounded. Burns and Parkes were sent home due to their injuries – Cobden lost three fingers on his right hand. The two friends were still keen to “do their bit” for King and country and re-enlisted. Both men were sent to the Western Front. Austral Burns was killed in action in France. Although Cobden survived the war, back home his stepmother was desperately lonely. Family records indicate that, with only family dog and cat for company, she stated “Oh, how I long for Cob’s return.” Julia even slept in Cob’s room. Cobden returned to Australia having received word that Julie was gravely ill. Sadly, Julia died the night that Cobden’s boat docked at Port Phillip Bay in Melbourne. Cob recounted that it was his greatest regret – that he did not get home to see Julia before she passed away. Of all of Sir Henry Parkes’ children, Cobden (or ‘Cob’ as he was called) enjoyed a successful career. Despite losing three fingers on his right hand – his drawing hand – he somehow contrived a way to grip his pen with his one remaining finger. 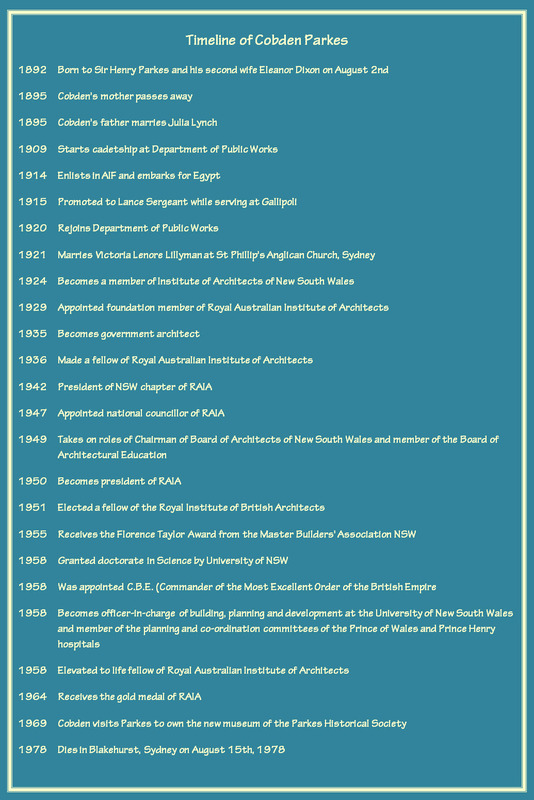 He was successful as in 1935 he was appointed to the position of Government Architect. This role saw him design many school and public hospitals. Additionally he also designed the University of New South Wales. One of his final public duties was being part of the judging panel that oversaw the international design competition for the Sydney Opera House. Cobden Parkes gave his support to the entry from eventual winner, Jørn Oberg Utzon. 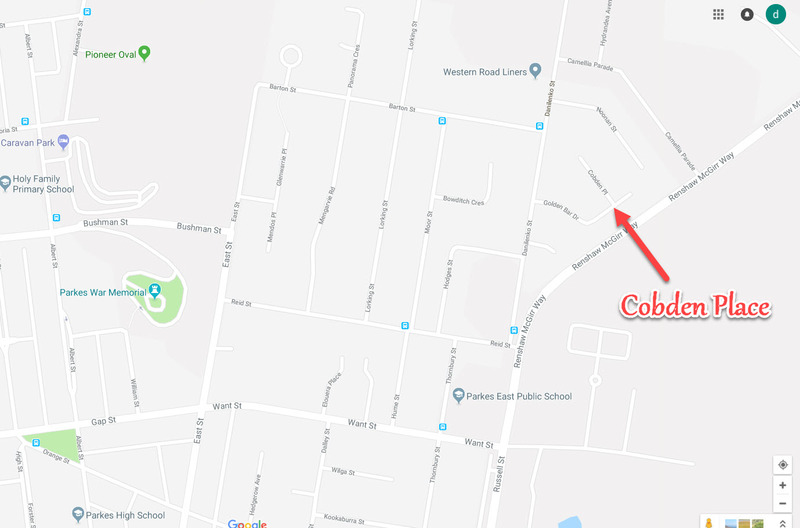 If you have stories of Cobden Place or Cobden Parkes that you are willing to share please contact Parkes Shire Library via library@parkes.nsw.gov.au so that they can be shared and kept for posterity on this blog. Alternatively you may leave comments on this page. Fredericks, D. (February 15, 2018). Cobden Place Street Sign[Photograph]. Parkes Shire Library, Parkes. Father and Son. (1969, March 31). Parkes Champion Post, p. 2. Retrieved February 16, 2018.
what a great man, who gave so much to our country. Thanks for reading our blog and for your comment. Cobden was certainly one of the great people who helped make Australia the country it is today. We would all do well to remember and imitate these great men and women from our past. Kind regards. 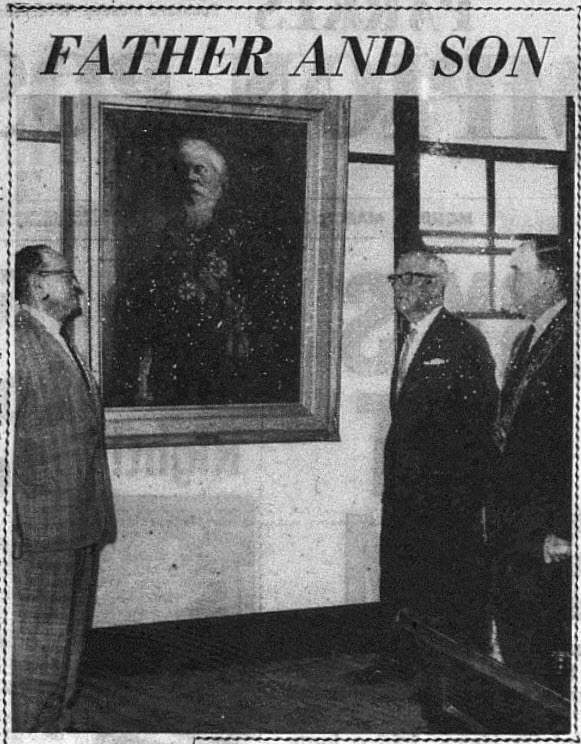 This entry was posted on February 22, 2018 by parkeslibrary in 1890s, 1900s, 1910s, 1920s, 1930s, 1940s, 1960s, Cobden Place, Cobden's Legacy, General history, Impact of Sir Henry Parkes, Legacy, local historical articles, Making local news, Parkes, Parkes Library Family & Local History Resources, Sir Henry Parkes, Sir Henry Parkes statue, The First World War and Cobden's Greatest Regret, The Parkes Burden, The Story Behind The Name Cobden, The Young Cobden, Timeline of Cobden Parkes, Uncategorized, World War I and tagged 1st Battalion, AIF, amputation, architect, architectural design, Australian Dictionary of Biography, Australian Imperial Force, Cobden Place, commemorate, Corn Laws, Dan Fredericks, Department of Public Works, disability, draughtsman, east Parkes, Eleanor Dixon, First World War, Fort Street Model School, Free Trade, Gallipoli, Golden Bar Drive, Google Maps, Government Architect, Great War, Hampton Villa, Hampton Villa Balmain, Institute of Architects of New South Wales, Jørn Oberg Utzon, Julia Lynch, June Weaver, Kenilworth, Lady Clarinda, Lady Eleanor Parkes, Lex and June Weaver, Lex Weaver, Mayor Scoble, museum opening, Nellie Parkes, NSW Premier, Our Family Past, Parkes Historical Society, Parkes Historical Society museum, Parkes Municipal Council, Richard Cobden, Rockdale College, Royal Australian Institute of Architects, Sir Henry Parkes, Sir Henry Parkes statue, stepmother, Street Names of Parkes, streets of the Parkes Shire, Sydney Opera House, Sydney Technical College, The Glebe Society, University of New South Wales, Victoria Lillyman, W L Vernon, young Cobden.